Not Italian supporters after a night celebrating their win over Germany yesterday but a detail from Piero della Francesca's Resurrection that hangs in the Civic Museum of his home town, Sansepolcro, where I am staying. The four figures slumped by the tomb as Christ stands triumphant are both wholly real, earth bound and yet painted as if yet even here translucent to what is happening above. 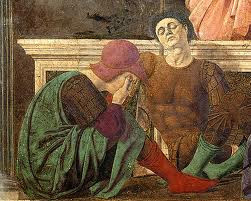 It is shown so artfully as three sleep, one in the foreground here, covers his eyes, as if he knows but will not look. Meanwhile, all is concentrated on the figure of Christ, even the vegetation behind him appears blasted, withdrawn into itself. A great event has occurred, breaking into a world that does not, has not, continues not to fully comprehend it. It is a triumph yet in the making. Forewarned about driving in Florence and its parking (both the difficulty and the cost), I decided to park at the airport and take a taxi in and out as the airport is close to town. How difficult might it be to find an airport? Markedly because the signage appeared designed to conceal rather than reveal the entrance. I could see the airport, glimpsing it as I dodged and weaved in the morning traffic, but where was the entrance? It was only on my third circumnavigation past Ikea and imprecations (I mean invocations) to St Antony (things that are lost) of Padua (whose reply was probably: how do I know where the Florentines keep their airport, come to Padua instead!) that I slipped into long term parking, walked over to the terminal (as it is that size of airport) and was on my way into the city. 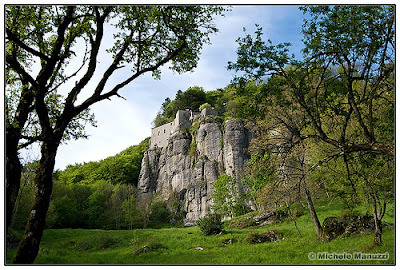 I began the day in La Verna where St Francis received the stigmata. It stands on an outcrop of rock at the southernmost point of a national park. You arrive up a winding road that appears to be empty but when you arrive, as if by magic, the shrine throngs with visitors: Italian families, elderly couples, youth groups in sturdy hiking gear and the odd foreigner! It comes with the requisite restaurant and shop selling religious paraphernalia. Every conceivable version of St Francis (except cuddly toy and inflatable doll) beckons less than enticingly from the shop's walls plus sacred cards, rosaries, candles and incense. The chapel of the stigmata is away, along the side of the hill, from the main church. 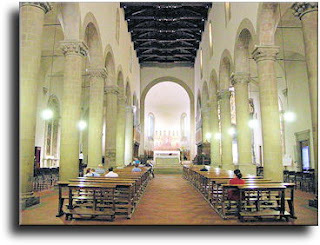 In the main church, Mass is starting where a young bearded Franciscan with tapping feet and strumming guitar is trying to tease a response from a small congregation. I finished Shirley du Boulay's moving biography of Dom Bede Griffiths over lunch sitting on a quiet side street. A gentle breeze dispelling midday heat. The last years of his life were extraordinary culminating in a series of strokes that were once physiological events and accompanied by trans formative experience that brought him to a new wholeness: a marriage of rational mind infused with spiritual intuition and permeated by a deeper than ever capacity to love. Inward experience was outwardly visible to all who knew him and, paradoxically, as Shirley notes, this deeper holiness allowed him to be more human, even the irritating quirks and twists of his nature, including his anger, found their appropriate place in the life of his last years. Memory is highly selective. It allows you to shape past history, editing it to wishful desire. When I was last here, in Sansepolcro, I had a rabbit pasta at a restaurant around the corner that lingered across my memory as something so splendid that it closed in as my best ever dining experience. Afterwards I told myself that I must be mistaken, not least for trying rabbit pasta elsewhere and being disappointed (including at a fabulously famous and expensive Italian restaurant in Moscow. It was good but not that good). This evening newly arrived I dropped by, no rabbit pasta on the menu, but a goose breast carpaccio that was equally extraordinary, bursting with flavor, the contrast between meat, fat accompanying oil and balsamic vinegar caught to perfection. It is a treasured spot and the proprietor is so welcoming and enthusiastic (and continues to charge you for wine by how much of the bottle you have consumed)! It was on his last visit to England, before his death, that I finally met Dom Bede Griffiths. We had corresponded for years, between Oxford and his home, Shantivanam, a Christian ashram in India. He had become a patron of the Prison Phoenix Trust and though he was, geographically, its most distant patron, he was its most active: writing to prisoners, speaking of the trust's work regularly in the talks he gave both in India and around the world; and, writing words of counsel to me that were always apt, treasured and wise. I am re-reading his biography by Shirley de Boulay and pondering a remarkable life. An intense, obsessional, emotionally contained individual slowly unwinding and being unwound into holiness. 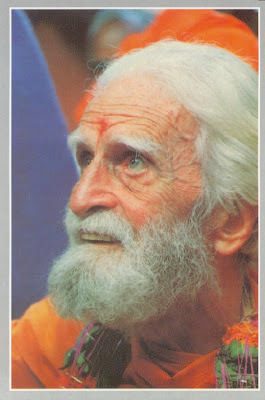 A holiness that was both utterly Christian and completely open to the reality pointed to by other traditions, especially the Hinduism of his beloved India. 'The New Man' is Maurice Nicoll's book that interprets some of the parables and miracles of Christ, first published in 1950. I own a copy that belonged to the novelist, J.B. Priestley and his archaeologist wife, Jacquetta Hawkes (who was a governor of my school). It is a remarkably compact book that in its 150 pages probably says more and more of value than many commentaries that weigh in at many multiples of its size (and weight). 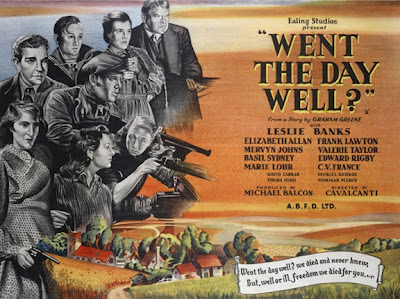 Jack Higgins in writing the novel (and subsequent film): 'The Eagle has Landed' was being, in the words of Monty Python, 'a very naughty boy' as his essential conceit (and many details of plot) had been lifted from Graham Greene's story, made into a film in 1942, 'Went the Day Well'. German paratroopers occupy an English village disguised as Allied troops on an exercise: in the former case they are there to assassinate Churchill, in the later case to interfere with British radar ahead of a planned German invasion. In both the villagers discover the German plot, which is assisted by a fifth columnist - a respected member of the village, are confined to the church but manage to alert the outside world, and are rescued by outside military intervention. Fresh from contemplating 'Lost Christianity', I read Lindsay Clarke's fabulous re-telling of Wolfram von Eschenbach's poem, 'Parzival and the Stone from Heaven' from which 'Christendom' is lost! 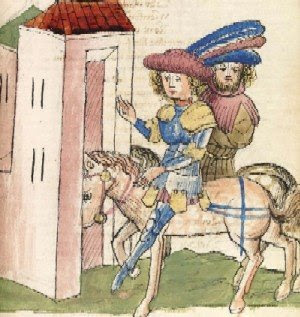 Von Eschenbach was a sacred poet but one of ecumenical sympathies where not only is Parzival's final battle (unknowingly) with his brother, the piebald Saracen, Feirefiz, essential to his self-discovery but the two of them enter the Grail castle together and are granted together a vision of the 'stone' that is the Grail. When Feirefiz asks whether it is permitted to see this Christian mystery, Parzival answers (in Clarke's version) yes for, "all Nature's increase is there, so I think that this stone from Heaven must be a living emblem of the earth itself, which is mother and father to us all." It is is 1975 and Elizabeth calls her brother in distress. Her husband has hit her and she needs refuge: her and her children. Her brother lives in a commune whose free flowing, inchoate ways are certainly not those of the nuclear family. She arrives and no ones' life is unchanged. 'Together' is a beautifully observed, Swedish film, resonant of the period and yet like all good art transcends it. Here are a group of people trying to work out what it means to live together where the 'traditional' boundaries do not work (and they probably never did). There is something profoundly important about the passionate connection between two people (so open relationships are difficult) but they cannot be confined within the fantasy of the 'nuclear' family (that is, I fear, too simple minded and improbable). Sitting in the chapel of the Forest of Peace monastery in the week following 9/11, the assembled group were exchanging reflections on the unfolding events (as part of the Mass). These revolved, understandably, around trying to find a silver lining of meaning to that dark descended cloud. The outpouring of initiatives to build inter-faith, cross-cultural understanding (and indeed protect the integrity of minority communities and individuals from harm) featured prominently. This, I noticed, made me surprisingly nervous, especially in that contemplative setting. It was a nervousness I tried to articulate, baldlyand badly. I had seen 'The Secret Teaching of Plants' (by Stephen Harrod Buhner) on the kitchen table of a friend last summer, a beautiful long length wooden table that overlooks a wild capacious garden from which much of what I was eating came. I had glanced at it enquiringly, attracted by the sub-title: 'The Intelligence of the Heart in the Direct Perception of Nature' and enjoyed a number of the quotations from Fukuoka, Goethe, Thoreau and others that liberally, and very effectively, accompany the text. I ordered it, put in my new bookshelf, and from time to time eyed it feeling I should read it yet thinking that it was not what I usually read and maybe it is a bit flaky!